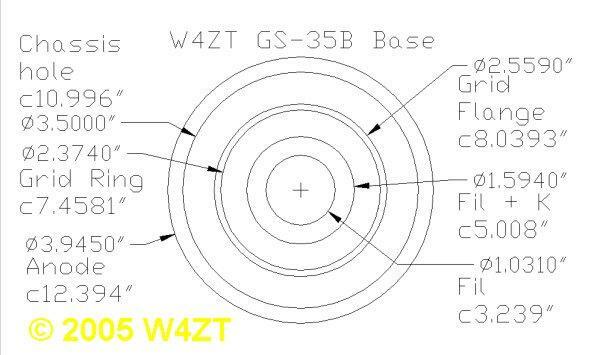 The GS-35B is a medium mu triode that yields about 13 db gain in amateur service. These same specifications can be applied to the GS-7B (not to be confused with the GI-7) which appears to be an old commercially produced version of the GS-35B. Although the GS-31B has the same base as this tube, it has a much smaller anode cooler and is rated for much less power. Amateur amplifiers have been built using this tube for every band from 160 meters through 23 cm. 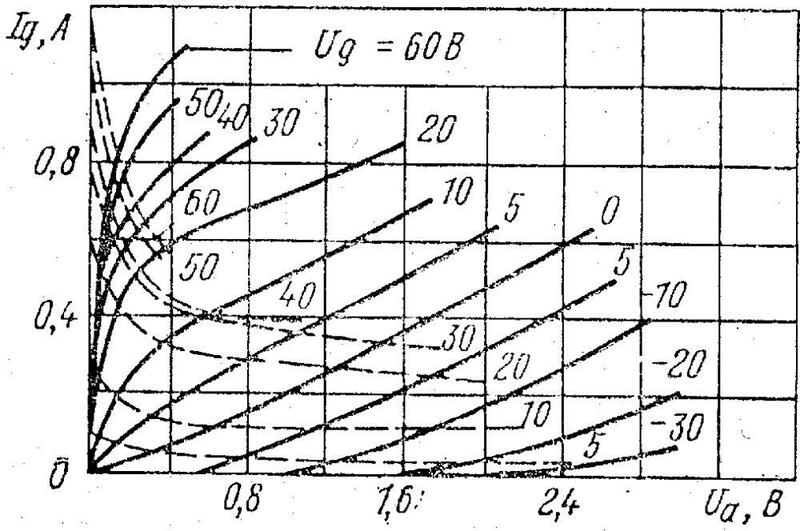 The so called "Specification Sheet" for the GS-35B was provided for the tubes as they were produced in the Union factory for the Russian military and select civil aviation customers. These tubes were produced primarily for use in UHF RADAR applications (according to my source in Russia). The factory was manufacturing the tube in such a manner as to guarantee their performance under the specified conditions. 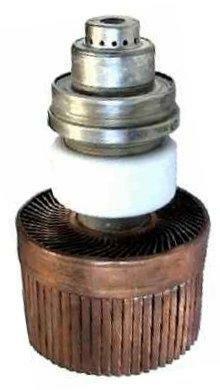 The maximum plate dissipation of 1,500 watts was a CONSERVATIVE rating for this tube in service above 800 MHz. 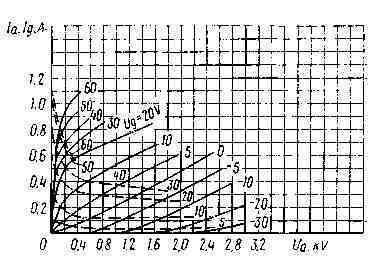 Use of this tube in the spectrum occupied by the amateur bands 160 meters through 70 centimeters was never specified nor measured. Imperical knowledge of the use of this tube by many amateurs indicates that for use in those amateur bands, with plenty of air flow, you can expect up to 2,500 watts plate dissipation (plenty of air flow means more than the specified 83.3 cfm; it isn't too much air until you blow the tube out of the socket). You can also exceed the rated anode voltage specification of 3,000 volts to as much as 4,000 volts. The majority of users are operating their amps with anode voltages between 3,000 and 4,000 Volts. There have been some uses up to 5,000 Volts (use extreme caution at these high voltages because the BIG BANG is VERY likely above 4000 Volts)). Caution should also be exercised when operating the tube with filament voltages that may go below the nominal 12.6 volts. If your line voltage drops enough to cause your filament voltage to go below this level, you should adjust the filament voltage so that it will stay at or slightly above 12.6 volts under all conditions. Low filament voltage not only contributes to rapid tube failure, it will also cause your tube to have low output. Some users claim to run the filament voltage as high as 14 volts. 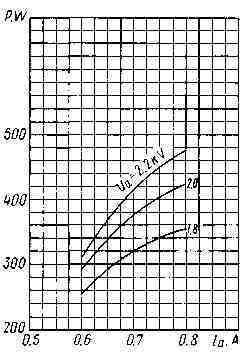 Unlike directly heated cathode tubes, significant loss of the oxide coating on the indirectly heated cathode can occur with low filament voltages. High filament voltage can significantly shorten the life of the tube. You may shorten the life of the tube slightly by raising the filament voltage but not nearly as much as you will shorten it running low voltage. Always provide for a method to test and adjust your filament voltage. This tube uses extremely dangerous high voltages. These voltages will not just shock you, they will kill you. Use extreme caution while building, working on and testing. Always THINK SAFETY! Only YOU can prevent accidents. **Commonly published data shows 1500 liters/min as 90 cfm but that conversion is WRONG. The correct data is 2500 liters/min or 150 cubic meters per hour which is 83.3 cubic feet per minute. 90 cfm is still a good target number. The anode (A) diameter of 100.2 mm is close enough to 4 inches for government work. It is 3-3/32 inches high. The grid ring (C) is used for mounting the tube. It has a flanged ring that's 60.3 mm in diameter which fits a 2-3/8 inch hole. The 65 mm diameter flange will rest on the edge of that hole as long as you clamp it well. The flange measures about 0.29 inches thick. This mounting is critical for removing heat from the grid and the lower part of the tube as well as the critical grid to ground electrical connection. 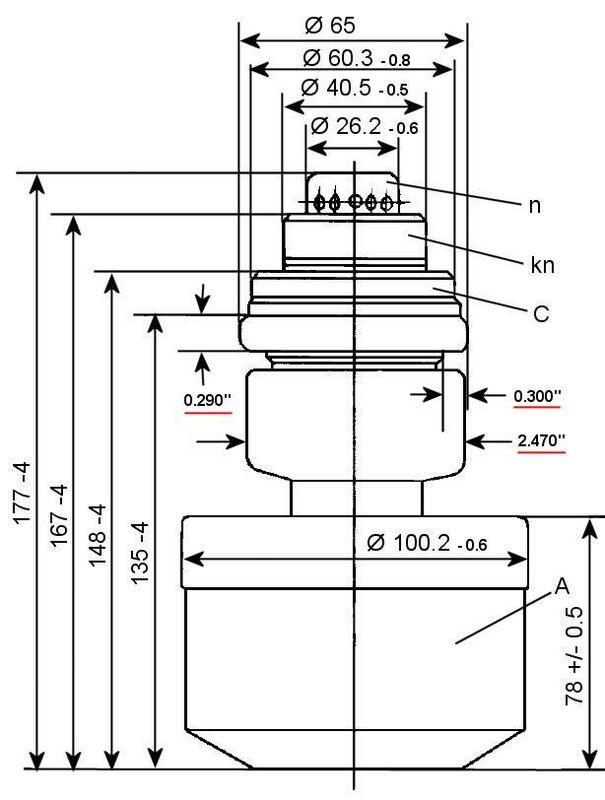 The connection for the filament and cathode (kn on the diagram) is 1-3/4 inches in diameter. 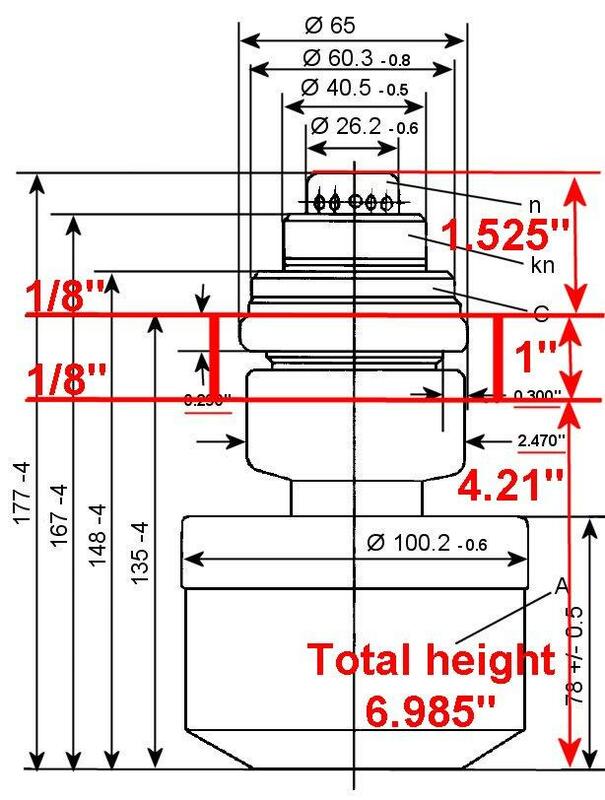 The other filament connection (n) is 1-1/16 inches in diameter. The GS-35B is heavy at just over 6 lbs including the copper heatsink. One thing needs clarifying: The spec sheet says the life to be expected from a GS-35B is 500 hours. This is a very conservative rating provided by the Union plant for the Russian military. There are a number of these tubes in service with a few thousands of hours operating time with no indication of a decrease in emission or filament failure. See the note above. 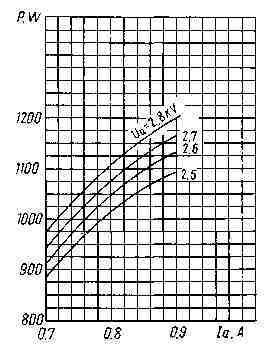 * Remember, this data is the very conservative military data for use at UHF and not anything like the commercial specifications you expect to see from a manufacturer of tubes you will find in commercial service. Please see the note above for a better idea of what you can do with this tube.